izi.TRAVEL is an audio guide for travelers. It is your personal tour guide, who knows and will guide you around the most interesting attractions and museums in more than 900 cities around the world. 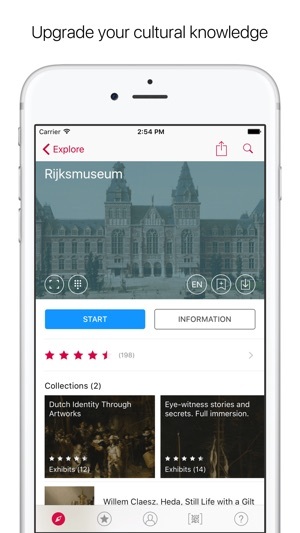 If you planning your next sightseeing trip, museum visit or you just interested to explore your own city - izi.TRAVEL is a must-have application for you! Just turn on your GPS geolocation and choose from dozens of audio tours around you. 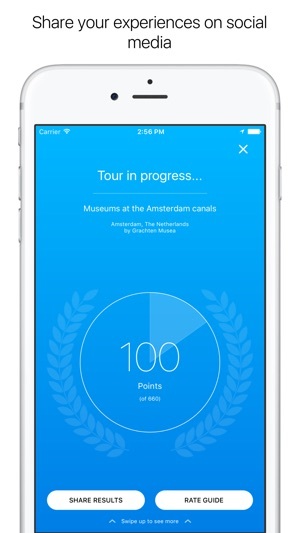 izi.TRAVEL will show you planned routes on the map for each excursion, with checkpoints, historical photo galleries, and high-quality audio travel guides for each route. 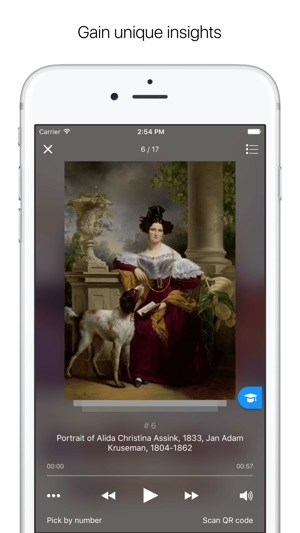 Also izi.TRAVEL has audio guides for all world's major museums and national galleries! 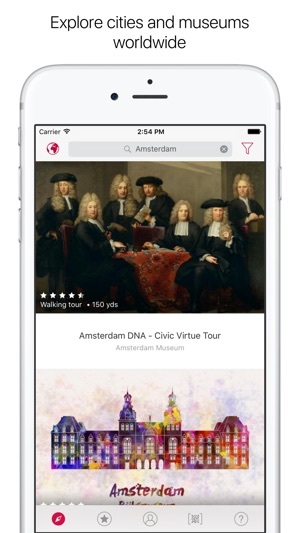 When visiting a museum scan QR code of the interested exhibit, or play the whole excursion. Offline map mode allows you not to consume internet-traffic in roaming, you can just pre-download the guide you like. 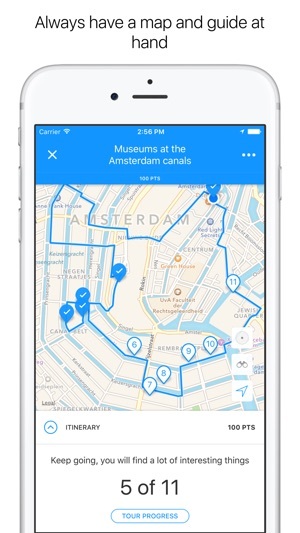 izi.TRAVEL provides offline maps and guides for all main traveler destinations: Amsterdam, Barcelona, Berlin, London, Madrid, Moscow, New-York, Paris, Prague, Rome, San Francisco, Singapore, Tokyo and other cities. - Adjusted the app for iOS 12. If you like izi.TRAVEL, please consider writing a review. Thanks! Excellent tours of Lyon France. This app added so much value to my recent trip to LA! I love all things urban but can never find enough time to read about or experience enough cities. This app solved both my problems! I was able to listing to multiple by different perspectives and persons while I was visiting their city. It's unbelievable to think of something discrete is free! I was able to spend my excess cash my things in the city rather than on a tour guide. Absolutely love it highly recommend him to any other visitors. App has a job and it does it well. I searched up some places that would interest me to visit one day, and the app is basically a tour guide. App also performs well, had no issues using it. It's very smooth and did not experience any lag or crashing. So I am assuming when using the app when traveling would be stress-free.